... can you guess how long it took me to make this? 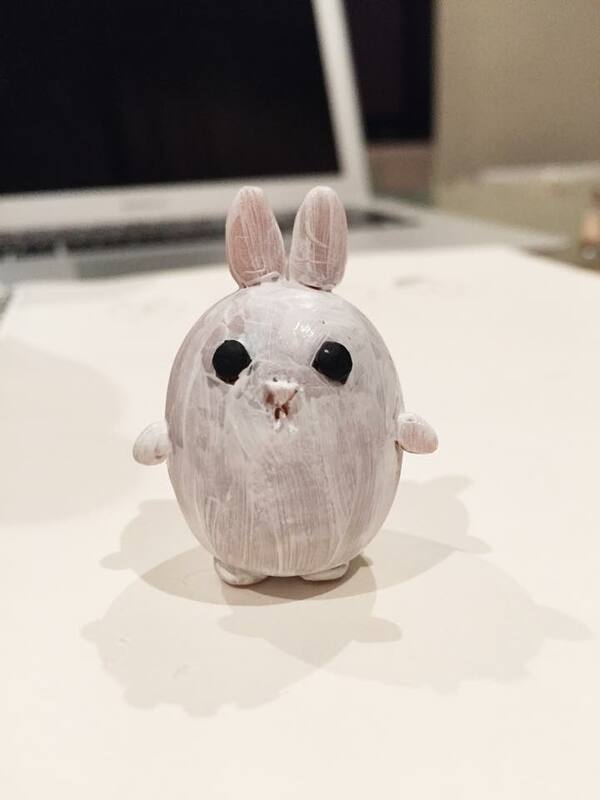 from designing through to baking and painting this little bunny, it took around three hours. wooooooooooooooah. 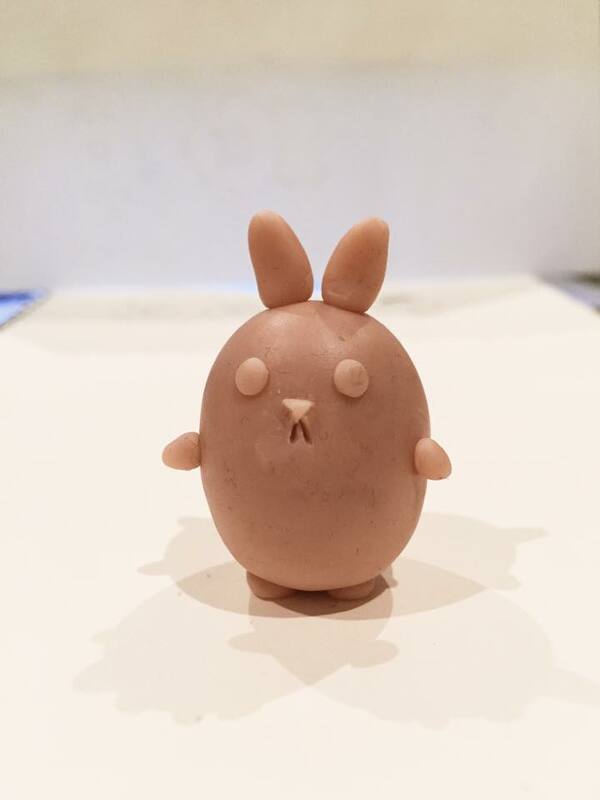 making little clay figurines was a lot harder than i thought. i am so happy with the end product though! woohoo! i also have my initials etched onto it's little behind. please let me know your thoughts! i know it needs improvement but i'd love to know what you think of my first clay creation. let me know if you want to see more! i'd like to also thank suni from xoul creations for the materials and teaching me from beginning to end. 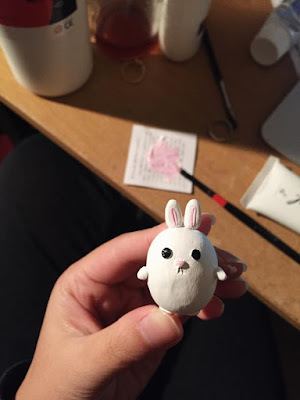 check out the xoul creations etsy page here, where she sells her cute clay models! i'll leave you with these adorable bunny gifs. 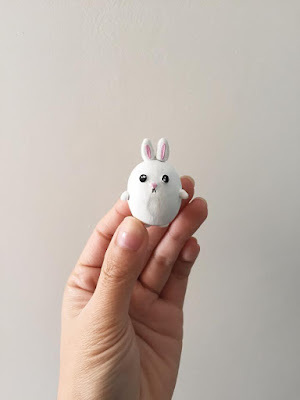 this one for all your bunny lovers and this one for all the people studying for exams. you're not alone!